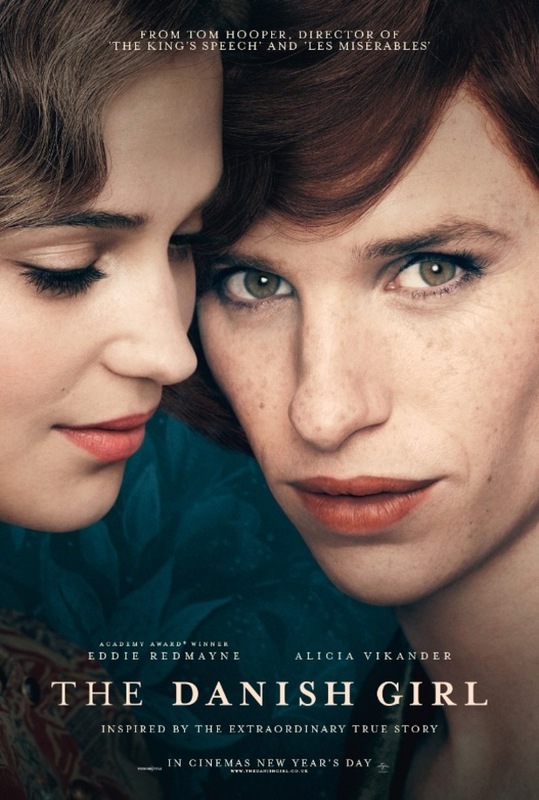 Eddie Redmayne faces possibly his toughest challenge yet as he plays Einar Wegener, a woman trapped in a mans body. With the help of his wife Gerda (Alicia Vikander) he looks to finally escape the confines of being born a man and reach true happiness. My first trip to the cinema in 2016 was to go and see Matt Hoopers "The Danish Girl". Not really the type of film that would draw me to the cinema - especially with The Force Awakens still screening- but nevertheless The Danish Girl certainly intrigued me. Especially during this time with a lot of coverage and discussion about transgender people. The Danish Girl shows just how hard it is for people who are going through exactly what happened to Einar Wegener. The movie does well to show the struggle that Redmaynes character has to go through whether it is physically or emotionally. We can see the effect on Einar as he so desperately wants to become a woman known as Lily. He is constantly breaking down and is also been ill due to his struggle. Not only do we see how Einar struggles to handle it but also how society back then make it incredibly difficult for him. The film is set in the mid 1920's where you can imagine the struggle it was to be gay never mind wanting to change gender. Considering many people still have a problem with it today, you can only imagine what could of happened to these people. The film shows this extremely well and you can see very clear how this would not of helped Einars situation at all. With him getting brutally beat up in the street or doctors trying to prescribe him for being crazy and trying to get him locked up in jail all for simply being who she really is. Eddie Redmayne is absolutely incredible in this film. He completely dives into being this character and pulls it off to the best of his ability. His performance as Einar is truly incredible and I could also see this as being inspirational to those who may be going through similar things. We really feel for him as he goes through this extremely hard time with many obstacles in the way. A tragic tale showing the life of Einar and Lili which Redmayne excels in. I really don't get the problem with Redmayne playing this character amidst criticism for a cisgender man to portray this character. If that's the problem you have why this film, you should question yourself to why you seen it in the first place. I personally believe that the film is worth seeing just to be able to watch this performance from Redmayne. Surely another Oscar nomination for him and I have to say, a very well deserved one! Alicia Vikander also deserves a lot of credit for her role in the film as Einars wife Gerde who also has to cope with losing her husband, the man that she truly loves. She also has to not let her own interests get in the way of making her husband truly happy and Vikander does this excellently. We also feel for Gerde as she has to deal with this loss to her and she faces her own struggles throughout the movie. Another great performance which I also feel is worthy of an Oscar nomination. At times throughout the film I do feel that some bits were rushed. Times where Gerde seemed to be very upset didn't last long and at times she would go back to perfectly normal pretty quickly. At times it may of been good to see her show more of her feelings for slightly longer as it was very tough for her too. Also at times some of the actions that happen don't carry any consequence in the story which at times seems a little odd. I found this film to be particularly interesting and really quite eye opening as it shows the terrible circumstances that Einar had to put up with. A very good film which will be very beneficial to all who see it. I feel that due to the subject matter that it would've been very easy to put this film up for Oscars but after seeing it I am on board so far especially with the performances that were on display. A good start to 2016 in the cinema with "The Danish Girl". A movie certainly worth seeing for the performances and also to enlighten you on the struggles that these kind of people have had to endure. 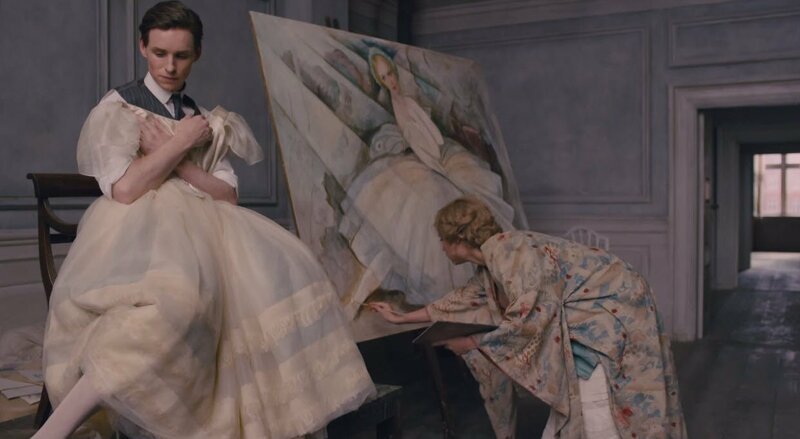 If you have seen The Danish Girl what did you think about it? Once again thank you for reading my review, it is very much appreciated.